With age comes the wisdom of experience and we discovered that there is a lot to be learnt from our seniors that can help us live happier lives at any age. According to our new research, always being true to yourself, enjoying life, and taking care of yourself are the three leading pieces of advice that UK retirees would share with younger generations. To inspire the nation to live life to the full, we have captured the lives and learnings of the over 60s as they reveal their most memorable life moments, and share the crucial advice they would give to their younger selves. 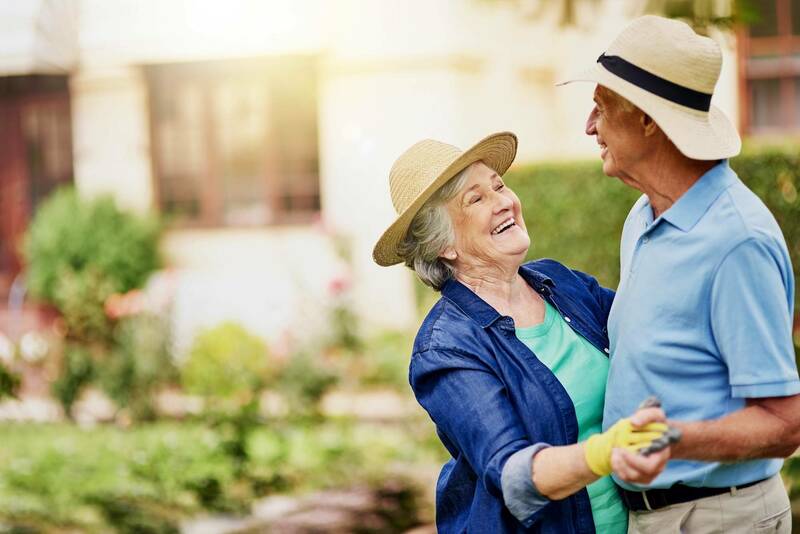 Always being true to yourself, enjoy life, and take care of yourself are the three leading pieces of advice that UK retirees would share with younger generations, to assist them in living life to the full – according to a new study conducted by chair specialists, HSL. More than 1,000 UK retirees* were questioned by HSL, to determine which goals and challenges to prioritise as we journey through life; according to those who have already spent 60 or more years mastering it. Reminiscing on their lives so far, 54% of the 1,005 retirees polled said they had no regrets. Just under a fifth (18%) said their biggest regret was not buying a house earlier, whilst 15% wished they had travelled more, and nearly a quarter (21%) wished they had taken more risks in life. Learn how to think correctly and remember that your thoughts impact how you feel. Being clear about what you are thinking helps you to feel better. If you think negative thoughts you will feel negative. If you think positive thoughts you feel positive. Ultimately the power is in your hands! We all have a manual of how we ‘do’ life and we always think our way is the right way. If people don’t do things our way we see this as ‘wrong’. However, just because people do things differently from us, doesn’t actually mean they are ‘wrong’. Letting go of your manual of how YOU think the world should run, makes life a lot easier and less stressful! Take your fun more seriously. We all have bills, jobs, responsibilities, but not many of us take our fun seriously. Have you ever noticed how children have fun just for the sake of having fun? It’s well worth trying to take your fun more seriously. Schedule in some time to simply go and have fun whether it’s something simple like a night out with friends or enjoying a hobby. Life doesn’t all have to be so serious all the time. So often we can be complacent about the little things. We can use our legs to walk, our eyes to see and our ears to hear. Those things might be small but actually when you really stop to think, they are things to be grateful for. Being grateful is important to living your best life. It’s hard to be miserable and grateful at the same time. Focus on looking at what you have got, not at what you haven’t. So often we don’t tell the truth for fear of what others might think about us. Becoming authentic means we learn to live and speak our truth. It’s a brilliant way of filtering out the wrong people. Time is precious and not to be wasted, and the more authentic you become the more authentic the people around you will be. Like attracts like. So if there are people in your life draining you, or zapping your energy it’s time to re-focus and change this for the better. HSL has a proud history of delivering comfort, quality and a caring service to each and every one of our customers. Our first class collection of handcrafted furniture has been providing unrivalled back-care support for generations, and we know you’ll love them too. At HSL, we’ve been supplying high quality, handmade furniture for over 40 years. We’re proud of our heritage, and like to think it gives our customers peace of mind, too. We’re still family-run and we’re dedicated to providing caring service and excellent value for money – so much so that our customers score us 8.6/10 (‘Great’) on TrustPilot. What makes HSL different is that we don’t just sell chairs, we work tirelessly to guide our customers to the comfortable back-care furniture that perfectly meets their needs. Although our roots remain in Yorkshire, we now have welcoming and modern Comfort Stores throughout the country; but one thing that’s never changed is the passion at the heart of our business. For further information please contact Jessica McDonnell on jessica.mcdonnell@epiphanysolutions.co.uk or 0113 323 0565.